Roy is an upcoming Bollywood romantic thriller film produced by Bhoshan Kumar’s T-Series.Roy will have Arjun Rampal and Jacqueline Fernandez in the lead roles.Ranbir Kapoor will make a special extended cameo in Roy. From trailer and promos it looks like Roy will be a full-fledged suspense thriller on the lines of Hollywood.Lets take a look whether Vikramjit Singh is able to handle this less experimented genre in Bollywood. 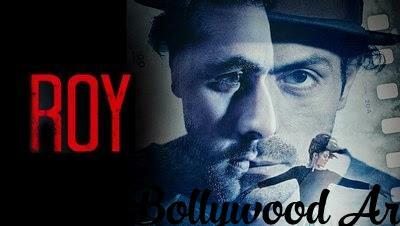 Roy (Ranbir Kapoor) is a mysterious thief who have made a lot of robberies in the world.Roy has once stolen Kabir’s fancy when he was young.Nobody is able to catch him.Kabir Grewal (Arjun Rampal) is a film maker who made films on Roy’s life and his robberies.All of his films have been very succeessful.So it seems that Kabir Grewal is the only person who is making profit from Roy’s robberies.Ayesha (Jacqueline Fernandez) is another film maker and new girlfriend of Kabir who is also a play boy.How these three characters’ lives will merge into a romantic thriller is the story. It is the first film of Vikramjit Singh and he tried some thing unusual in Bollywood.Roy movie started on a very promosing note.It looked like a fine hiest thriller but as the movie progressed it becomes more like an emotional drama and a journey of self discovery.Ayesha Amir (Jacqueline) says in the movie “A film should end when it needs to”.But it seems that director does not listen to her.Though the movie has good dose of entertainment.Finally the director put the movie on the right track in the ending scenes.Editing is very poor while screenplay was good.But special mention will be the extremely beautiful cinematography of Roy.Music of Roy is exceptional. Overall Roy is a dull film which promises a lot but delivers nothing. Arjun Rampal is a very fine actor and he impressed us once again with Roy.Though in some scenes director is unable to show Arjun’s complexities but overall he was superb. Jacqueline Fernandez manages to deliver a decent performance.She looks stunning in both avatars.But she has not much space in Roy. Ranbir Kapoor is the show stealer in Roy.He once again proved that he can fit in any rule he wants.Ranbir Kapoor looks amazingly natural as a mysterious thief Roy. If you are expecting a Hollywood type of thriller like Fight Club then you will be disappointed.Roy is a dull film which promises a lot to offer but delivers nothing. Roy will take a very good due to presence of Ranbir Kapoor and hit music.But the real question will be that can it sustain in the weekdays.There has been no hit in this year so there is a hope for Roy but the content is the problem.Roy will take an opening of about 9-10 crore.The second day will be Valentines Day so its collections will be boosted a bit.If the word of mouth is positive which looks difficult then Roy can touch 40-45 crore in its first week which will be good considering the face value of Roy.Roy movie lifetime collections will be around 50-60 crore.